Headquarters: 9250 E Costilla Ave, Suite 500, Greenwood Village, CO 80112. 303-783-4000. sales@milehighoutdoor. Mile Hi Outdoor was founded in 1996 and owns 400 billboard faces in the Denver Metro area and the state of Colorado. The company also has 9 digital signs. 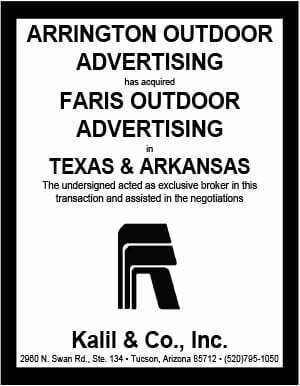 In addition to being The company is also involved in the Pacific Outdoor joint venture which recently purchased Clear Channel Outdoor’s Portland plant. Business Times and Watchfire have written about the company’s digital sign installations. Insider talked with Mile High Outdoor President Steve Richards last week. How did you enter the outdoor business. What’s the Colorado market like? The best! We have a very mobile population due to the active lifestyle the State promotes which means more people on the go and in front of our various OOH platforms. You’ve got 7 digital signs. 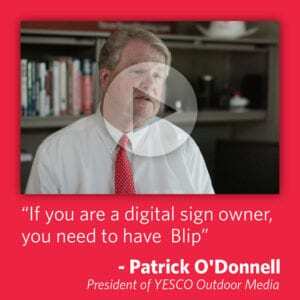 Whose signs have you purchased and what have you learned about digital? Actually we have 9 digital screens now, all have been purchased from YESCO and Watchfire who have both been great partners. Can you tell us a little bit about the Pacific Outdoor acqusition? It came together quickly and we felt that there were strong synergies with Portland and Denver in terms of the market dynamics, population, demos, etc. We are thrilled with the incredible inventory of Bulletins, Posters, Walls, and Digital Billboards with fantastic distribution in the market. We are also lucky to have a very seasoned team in place and are looking forward to operating in the market for the long haul!